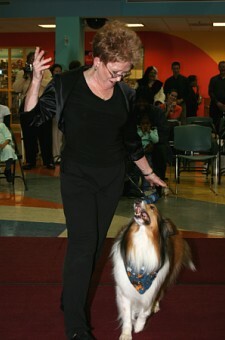 CANINE MUSICAL FREESTYLE (sometimes known as dancing with your dog) is a relatively new dog sport with its roots in obedience training. However, it allows the dog more freedom of movement and positions, which results in a whole lot of fun for both dog and handler! 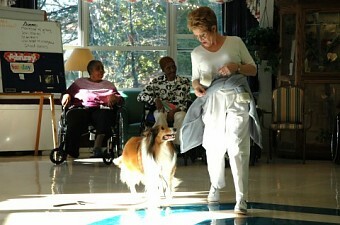 However, it is probably more widely used for entertaining in hospitals, nursing homes and community events. 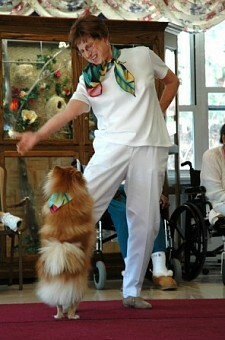 The goal is to show a bond between handler and dog in a choreographed routine to music. The result is sometimes elegant, sometimes flashy, sometimes cute but always FUN ! 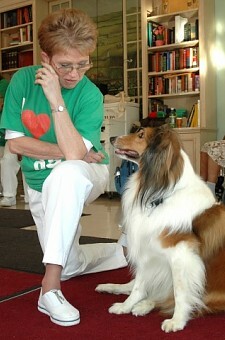 The dog's natural behaviors, tricks and trained skills are all used to showcase the dog's abilities and athleticism. 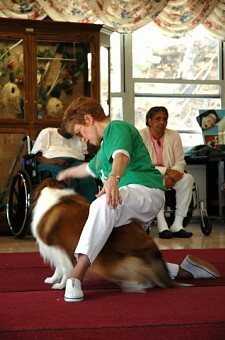 There are no limitations regarding breeds or handlers. 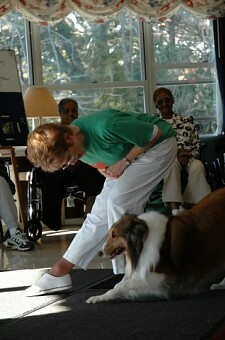 Anyone can do it and the handler does NOT have to know how to dance! 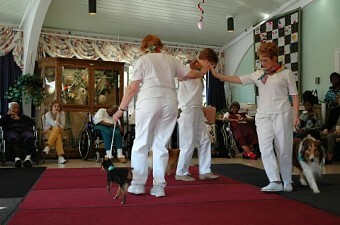 As a matter of fact, if you can walk and your dog can heel, you already have one freestyle move! 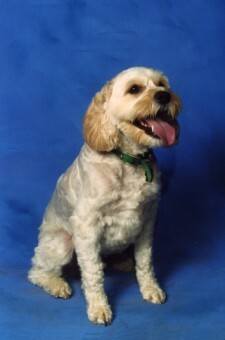 An added plus --- freestyle training tends to increase the overall obedience of the dogs and does not interfere with the basic obedience instruction. We invite you and your dog to come observe and even participate in a free class with the Greenbelt Dog Training's "ScentSations." We meet on alternate Sunday evenings. Please call 301-345-6999 for the schedule of location, times and dates. Who knows? You could be dancing . . . with your dog!